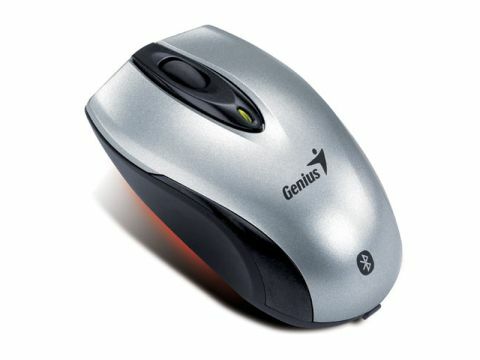 The Genius Traveler 900 2.4GHz notebook optical mouse is perfect for small hands or those who like to use a mouse with their fingertips. Its USB wireless receiver is also small, so you can leave it in your laptop. Alternatively, there's a space for it inside the mouse. But the best thing about the Traveler 900 is its set of scrolling features. There's a couple of 'turbo scrolling' buttons that let you scroll up or down at a faster pace, making it easy to pick through large documents or web pages. A great idea well implemented.